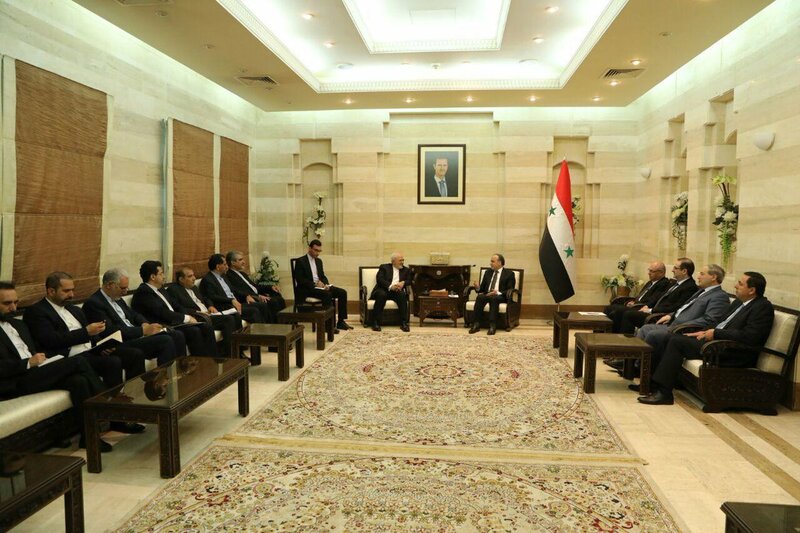 #Iran and #Syria foreign ministers, @JZarif and Muallem, met in Damascus today on Tuesday. 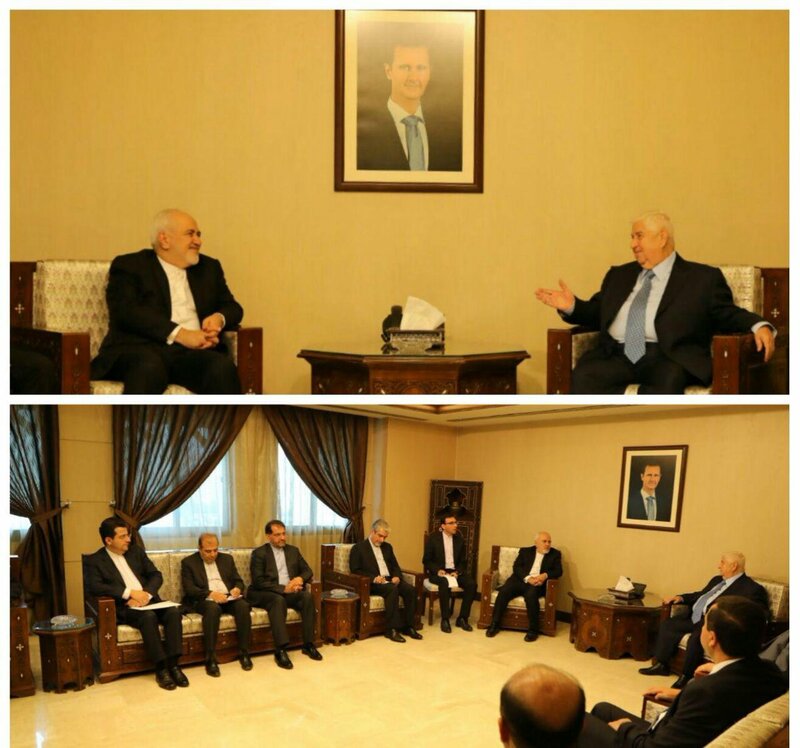 #Iran's foreign minister @JZarif met #Syria president Bashar al-Assad in Damascus. 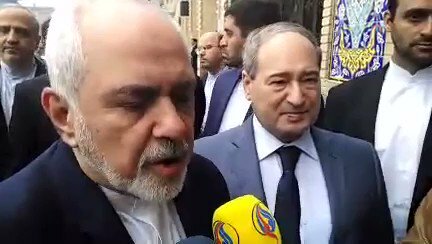 #Iran's foreign minister @JZarif has arrived in Damascus, saying that the purpose of the visit is to discuss regional issues as well as to follow up the agreements made between Iran & #Syria presidents. The #Golan is the indivisible part of #Syria which will return to its country of origin. 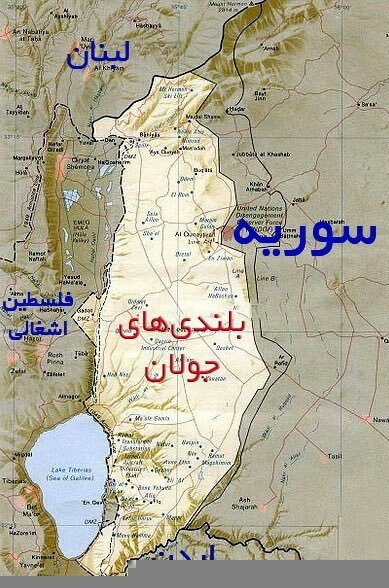 The occupying and terrorist #Zionists have no place in the future of the region. #Trump must know the future definitely belongs to Palestinians & #Palestine with #Quds as its capital. 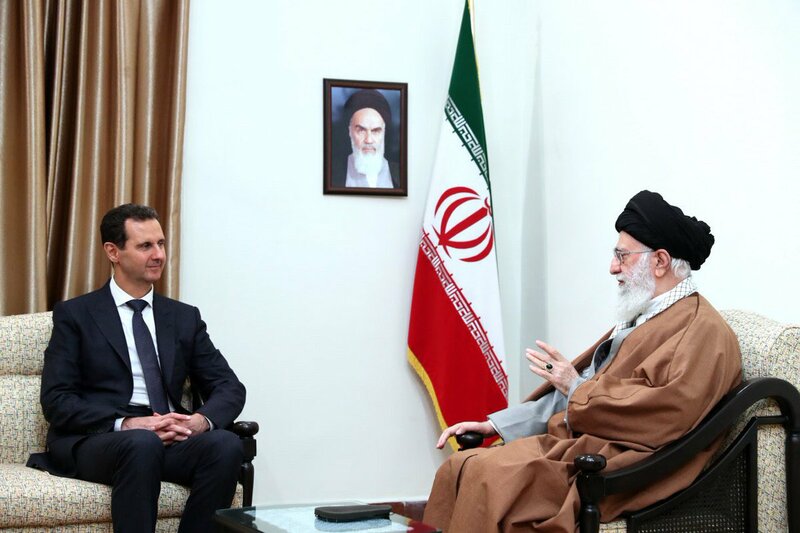 #Iran’s leader (in the meeting with president of #Syria): Iran & Syria are strategic depth of each other. Nature & power of Resistance movement depend on this strategic & continuous ties. 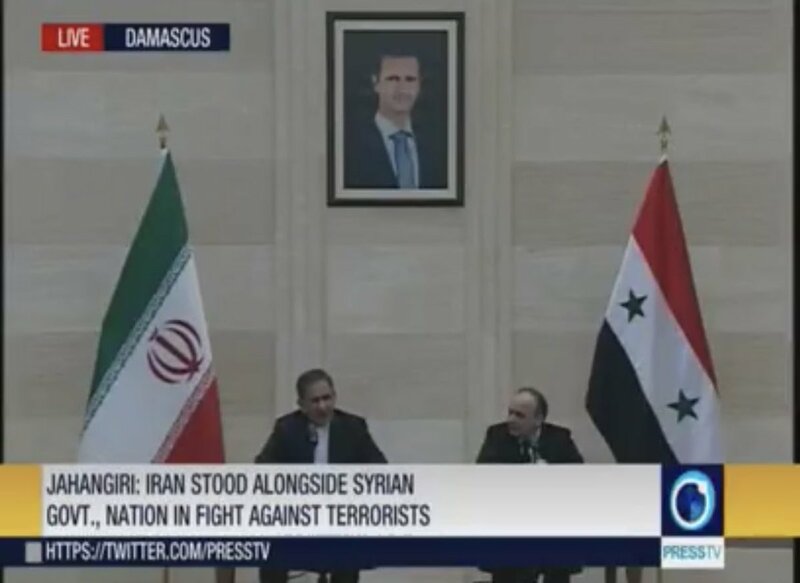 Footage of #Iran & #Syria presidents meeting in #Tehran today on Monday. Qods Force commander Soleimani also seen in the meeting. 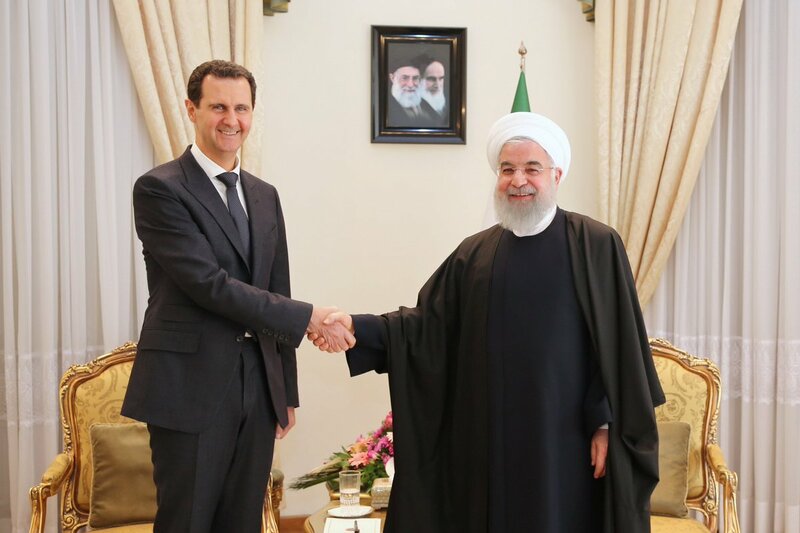 #Iran’s president Rouhani & #Syria’s president Assad met in #Tehran today on Monday. Rouhani said that Iran will be beside Syrian nation & government as in the past. #Iran’s leader: Iran, as in the past, will be beside the nation of #Syria, because Iran sees this as helping Resistance movement & it is proud of supporting the Resistance. 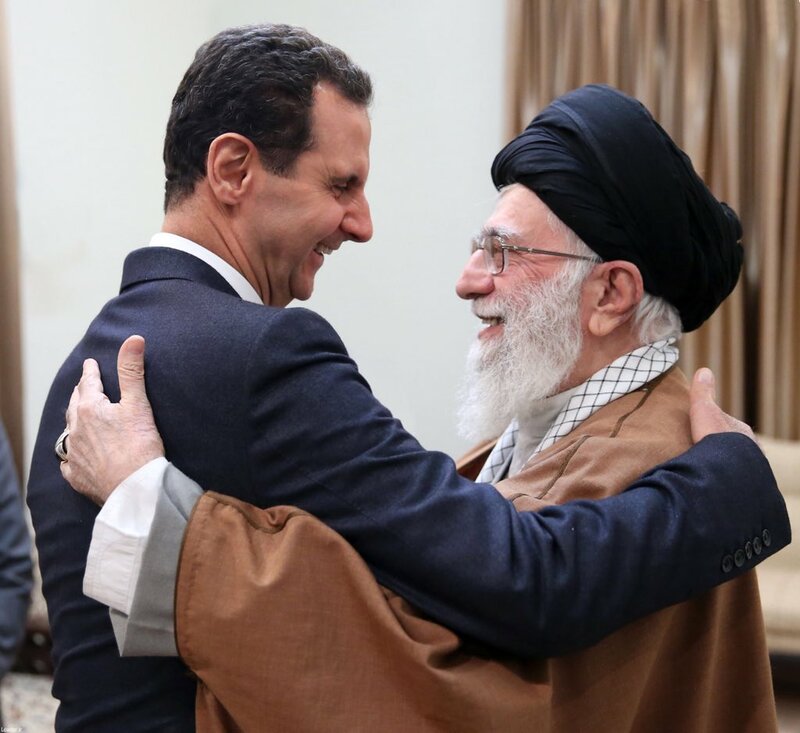 #Syria president Bashar al-Assad met #Iran’s leader today on Monday in #Tehran. 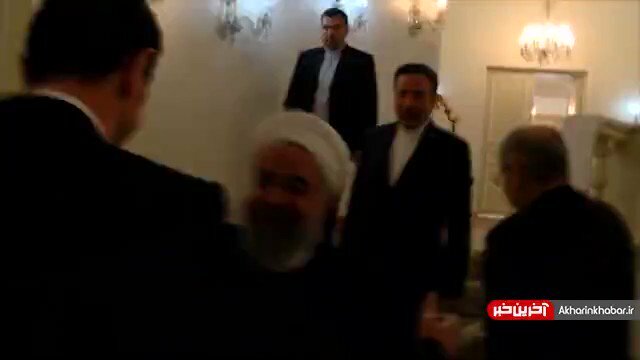 #Iran's president Rouhani has arrived in #Suchi of Russia to attend the trilateral summit of Iran, Russia & Turkey presidents over #Syria. 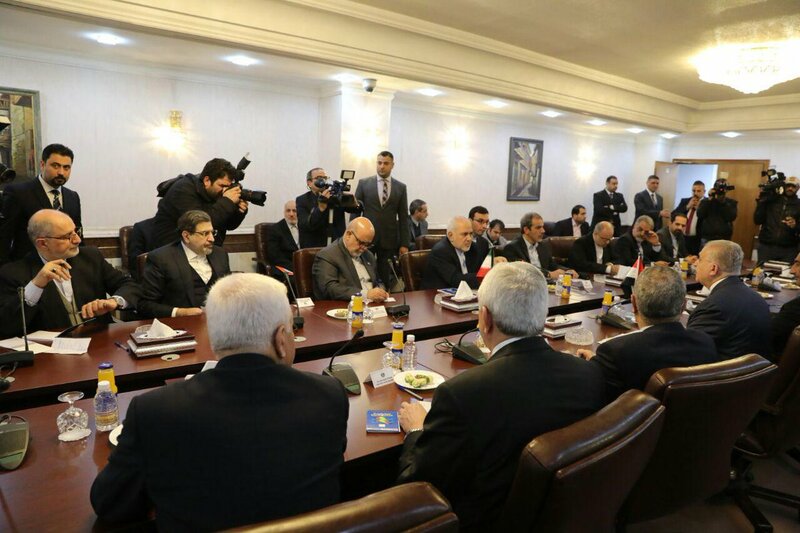 #Iran and #Syria foreign ministers met in Tehran on Tuesday. 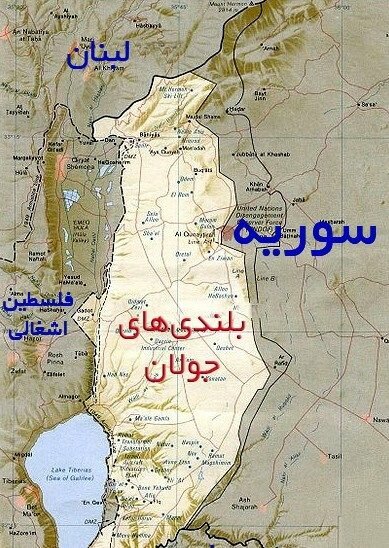 The #GolanHeights is an inseparable part of #Syria. 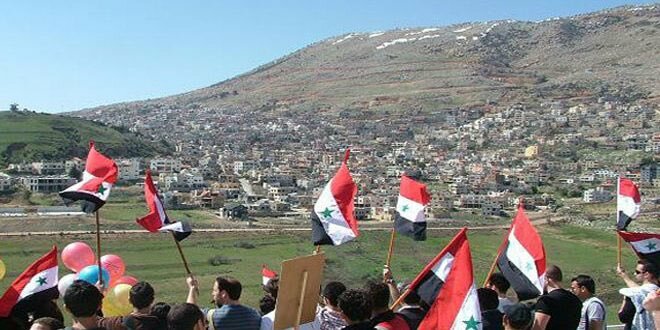 During the Syrian crisis, the occupied Golan has been the safe havon for #terrorists and a transit route to the occupied #Palestine for #Daesh and #alNusra. No doubt, the Syrians will clear Golan from terrorists & #Zionists. #Iran’s Foreign Ministry spox said that #Tehran welcomes reopening of embassies of some countries in #Syria. 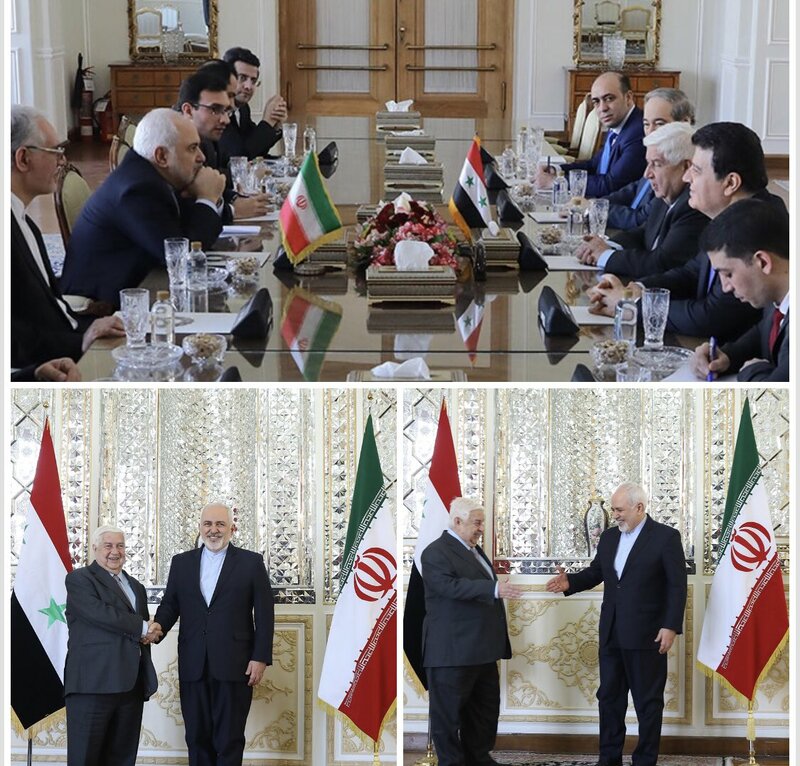 #Iran's foreign minister @JZarif: Regarding the transit between Iran, #Iraq & #Syria, good discussions were made in president Rouhani's visit to Baghdad, and also in Iraqi PM's visit to Tehran. We hope that these measures will be in line w the peace & security in the region. 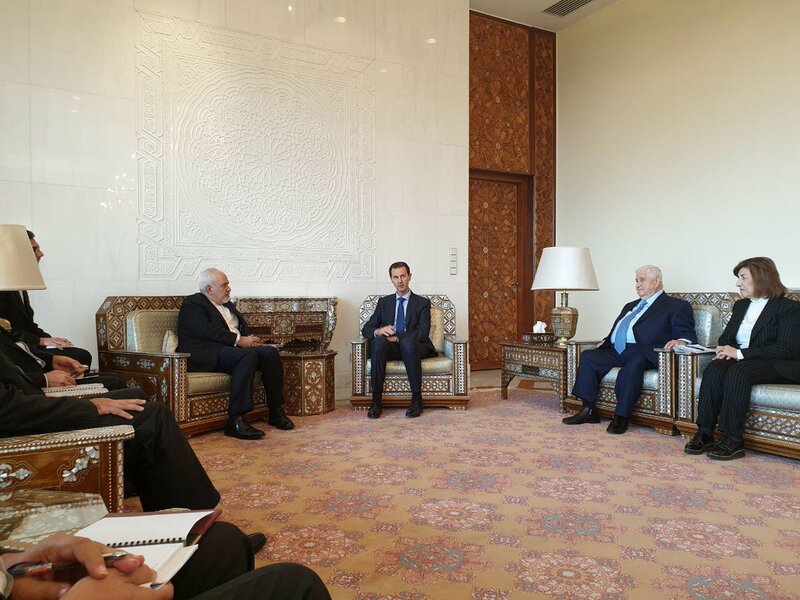 PHOTO: Meeting of #Iran's foreign minister @JZarif with #Syria's president Bashar al-Assad in Damascus. This was their first meeting after Assad's recent visit to Tehran where Iranian foreign minister was not present in the meetings. 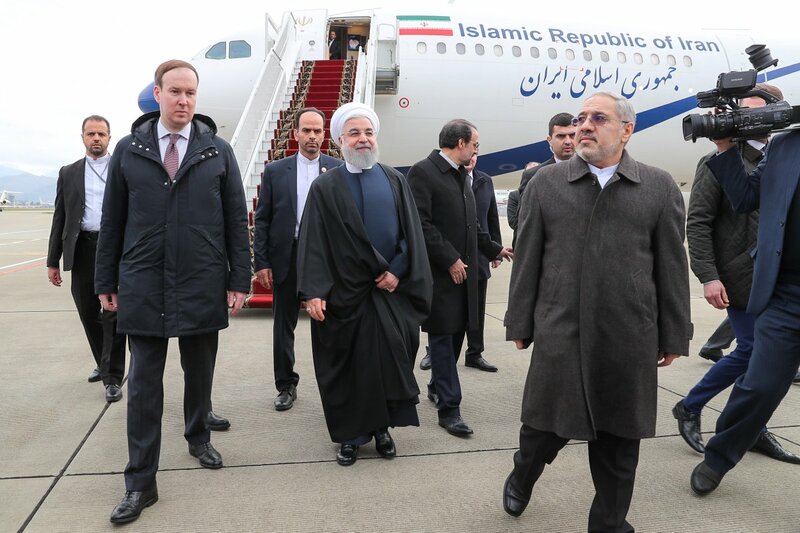 #Iran's foreign minister @JZarif has departed Tehran for Damascus, making his ۱st #Syria visit after the resignation, to meet Syrian officials including Assad & FM Muallem. 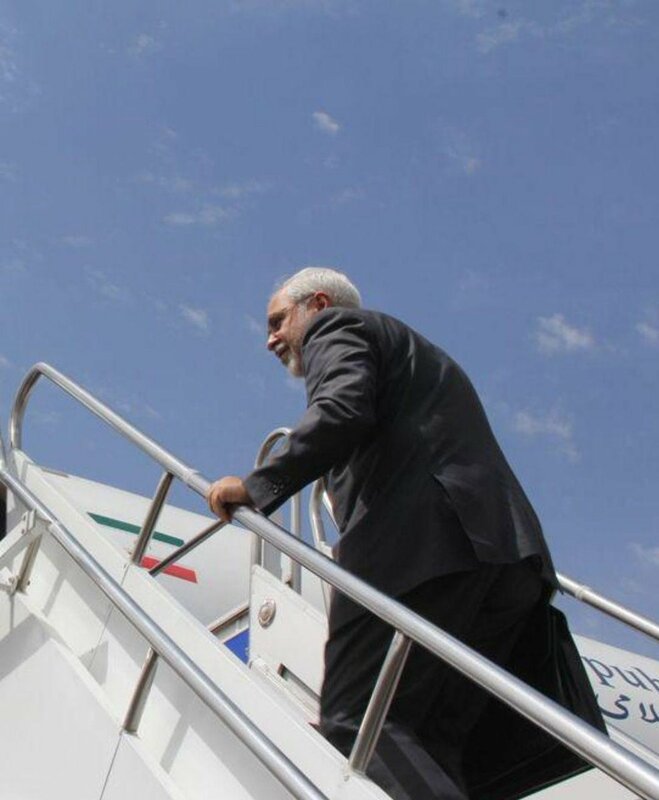 After Syria, Zarif will head to #Turkey to meet Turkish officials. The trip will altogether be ۲ days. Under US-Zionist ploy, #Daesh & #AlNusra were deployed in Golan during war in #Syria. NOW in a move against int. law, #Trump recognized #Golan as Israeli territory. Resistance will surely disillusion them. Trumo provocative sign paves the way for Golan liberation from Zionists. 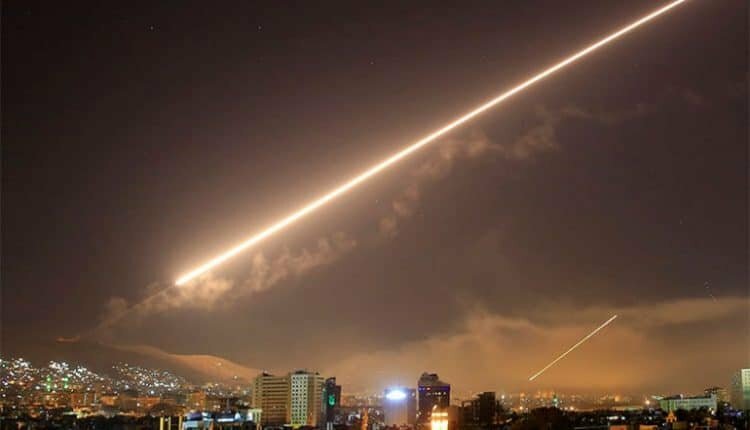 #Damascus, #Sanaa and even #Kabul mark the obvious defeat of U.S. regional policy. The bloody and dangerous game that @BarackObama launched in #Syria in ۲۰۱۱ is near an end. 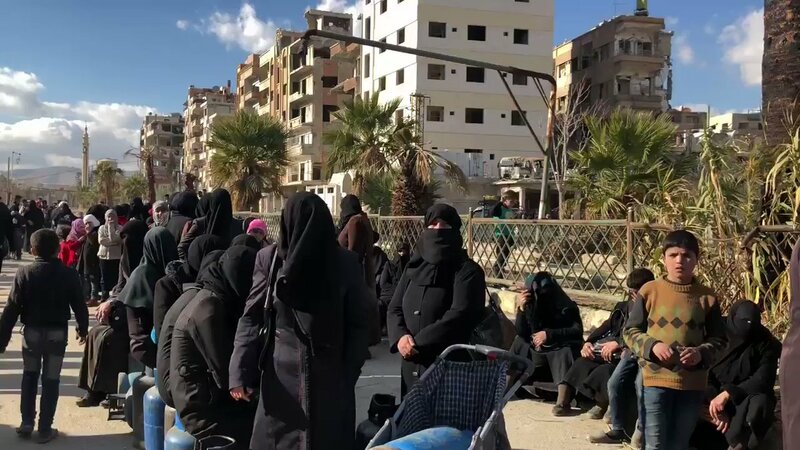 The failure of Takfiri terrorism that the U.S. supported is already largely apparent. 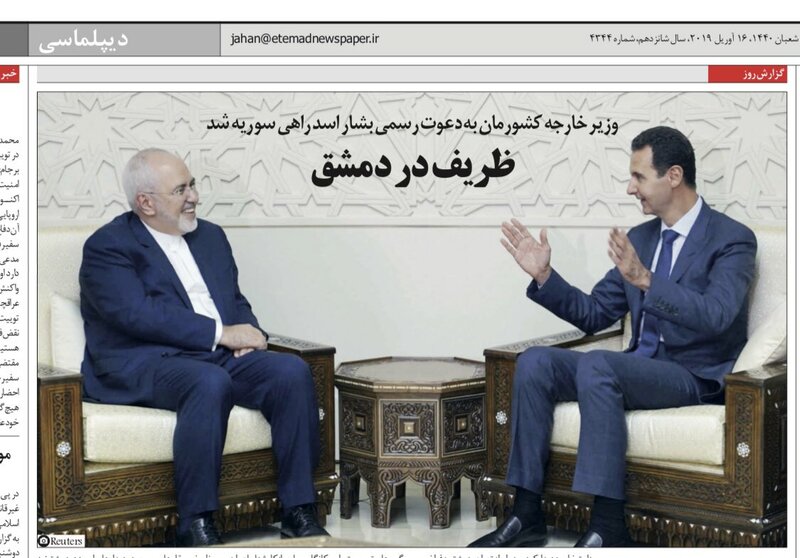 #Iran's president, trying to appease FM @JZarif, says that #Syria's president Bashar al-Assad also thanked Iranian foreign Ministry during his trip to Tehran yesterday on Monday. 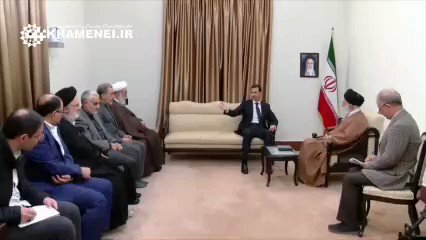 #Iran’s leader (in the meeting with #Syria’s president): The question of a buffer zone in Syria that Americans are trying to create is one of their dangerous plots that needs to be firmly rejected & opposed. 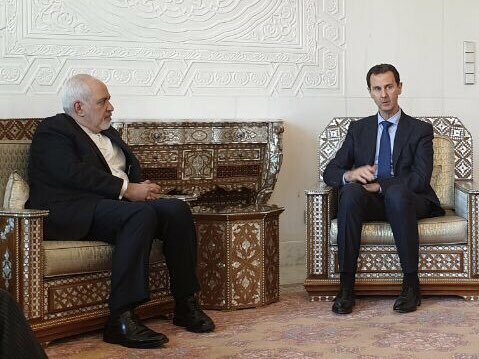 #IRGC Qods Force commander Qasem Soleimani was also in the meeting of #Syria’s president Assad with #Iran’s leader today on Monday in Tehran. The Islamic Republic of #Iran stands strongly with its allies and #Syria. Further nationally and internationally great successes are coming at the «Second Phase of the #IslamicRevolution». #Iran’s leader (to #Syria president Assad): You turned to be the hero of Arab world with showing resistance. The [axis of] Resistance became more powerful by you in the region. 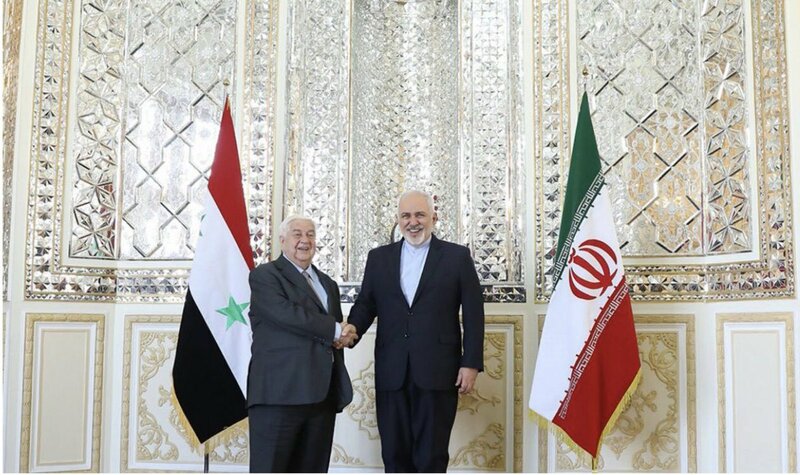 #Syria foreign minister Walid Muallem & UN special envoy to Syria Geir Pedersen will separately meet #Iran’s foreign minister @JZarif tomorrow on Tuesday in Tehran. Muallem will also meet Iranian SNSC Secretary. #Iran’s FM Zarif on likely US withdrawal from #Syria (on the sideline of #RaisinaDialogue): They did not provide any security for anybody, and we believe the sooner they leave Syria, the better Syrian people are.